Gareth Coffin from Chemical Engineering was named Placement Student of the Year in the recent awards. He tells us about his year at Mondelez International. 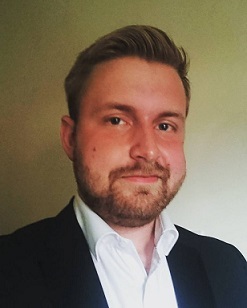 When I applied for the University of Surrey I didn’t originally sign up for the placement programme, like many of my course mates I simply wanted to get my degree and get out. It wasn’t until I started the degree did I realise the importance and benefit of a PTY and so I transferred on to the sandwich programme and boy am I glad I did! My placement was at Mondelez International. A snacking company, most famously known in this country for being the people who now own Cadbury, but they’re also responsible for Milka, Philadelphia, Oreo, Ritz, Belvita, Tang and a whole bunch more. I was based in their Research, Development, Quality and Innovation (RDQI) department, working out of their Global Chocolate Centre in Bournville, Birmingham. I was a member of the Process Technology team – the intern to be more precise – but this by no means pigeonholed my experience and breadth of work. 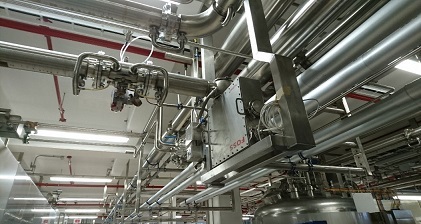 The team I was in was responsible for researching, discovering and developing new technology and trying to apply it to the food industry, as well as trying to characterise and catalogue the physical and chemical properties of our product portfolio. This made us perfect as “Question Answerers” from people right across the business and all around the world; in RDQI, Manufacturing, Productivity and farther reaches. We used combinations of Simulation and Modelling, Pilot Plant Scale, Lab Scale and Factory Scale techniques to carry out the work meaning I got my chance to apply and develop skills I wasn’t aware I had as well as learn a whole bunch more! I chose Mondelez because Chemical Engineers are quite often strongly encouraged to go into the Oil and Gas industry or design (or both). Having been exposed to all these things throughout the course of my degree, I realised they weren’t for me and as I’d always had a bit of a passion for experimental work and research, I decided I would give an R&D role a go. Fast Moving Consumer Goods (FMCG) then definitely seemed like the way to go as we had never touched on this in lectures and due to the highly technical nature and fast pace, I wasn’t disappointed with my decision. This isn’t to say that I didn’t apply to other placements; far from it – I applied to over 20 different places before I got this one – so if you’re still looking, don’t be disheartened! Applications varied across the 20 placements I looked at but Mondelez was a fairly standard one by comparison: Application Form with CV and Cover Letter, Phone Interview, Video Interview, Assessment Centre. I can honestly say that Mondelez’s was the MOST relaxed assessment centre I have ever attended and the job itself followed suit. Cathy and Me after completing my first pilot plant trial, Shell Forming Optimisation. On my first day, I was greeted at the door by my new Line Manager, Cathy, with a cup of coffee and a smile. Everyone in the office instantly welcomed me with open arms and a lot of support. This was my first ever degree/discipline based job and my first ever office job and they had all been there themselves, they knew what it was like and so they did everything they could to make the starting process as smooth as possible. 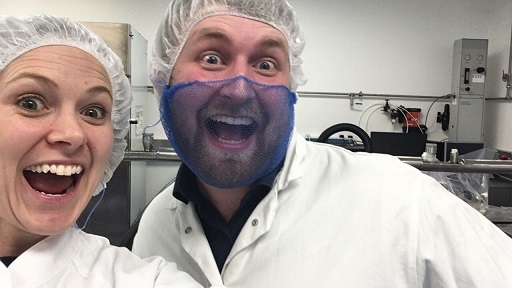 I spent the majority of my first week making introductions to key people in the office and being inducted into the pilot plant, factory and being given basic training on the things I would need throughout my year including how to hand ‘temper’ chocolate, which was rather exciting. I was also introduced to the first of my main projects during my time there, which I was responsible for managing (after a few week handover of course). That’s one of the great things about placement, you are treated like just another employee. There is nothing worse than feeling like the office “newbie” and being talked down to and this certainly wasn’t the case at Mondelez. I was right there in the thick of it and I wouldn’t have it any other way. All of my projects (which for confidentiality reasons, I can’t go into) relied on my technical knowledge built up at university and an eagerness to tackle them head on. They required me to develop my technical and analytical skills, my maths skills, my interpersonal skills, management skills and my personal attributes. There isn’t a single thing you will work on that you don’t need to present to someone else, or think about in a new way, or have numerous conversations with people around the globe when you work in R&D so there is ample opportunity to develop your existing skills and pick up more. I was pleasantly surprised by the very technical aspect of my work. I was required to know and learn Rheology, Crystallisation, Control Theory; all heavy ChemEng topics that many people I know assume you don’t touch in food. There is this stigma that an engineering career in food isn’t technical and that couldn’t be further from the truth. Some of the technical things I worked on were some of my proudest achievements. I was a technical consultant on “Chocolate Rheology” for a project in another part of the business that went on to save the company £250,000. During the Intern Challenge, I helped take my team to victory by coming up with a waste initiative idea for the factory that potentially saved the company £1,000,000 pounds a year; by understanding basic Fluid Mechanics and having a deep understanding of the processing plant. 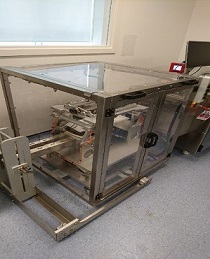 I was also given the opportunity to take a piece of prototype equipment to Germany to train some colleagues on its use and analysis to aid in their new plant commissioning. 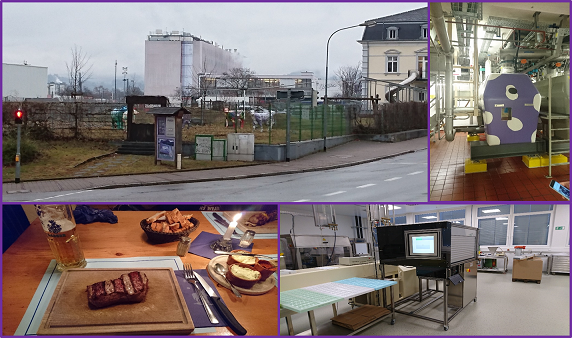 Highlights from my trip to Germany, great to have the company pay for a trip that provided me with huge opportunities for experience and development; not to mention huge steaks! Of course, placement wasn’t all a barrel of sunshine; I had moments of doubt, low points. They were mostly right at the start of my placement; an anxiety about needing to understand EVERY aspect of my degree course in detail and just being expected to know it. I had assumed that to work in industry this was the case. Wrong. University prepares you for a hugely broad range of careers, so it doesn’t (necessarily) cover the detail; you will learn that on the job. Education is simply a wonderful tool for making sure there are no major surprises and once I had that twigged everything became much simpler. Don’t forget, if someone asks you to present something, it’s because you know what you’re talking about! Once I’d learnt this about myself I also learnt that I have REAL trouble having one to one, face to face conversation. I constantly over analyse every aspect of what I’m thinking and saying, heck, if you’ve still read this far you probably appreciate how much I waffle. I never had trouble presenting to people on a topic, but tell me to ask them about their weekend, can’t do it. But being in an environment where you’re forced to interact with lots of people, all the time, some you’ve only met for the first time ever, really gets you used to interacting and as a result my confidence has been hugely boosted and my personal attributes have flourished. Whether it’s technical or personal, placement will help you achieve your goals. Two aspects of my other two main projects which had me doing Pilot plant work and Lab work respectively with simulation and modelling aspects too. Coming back from placement was a mixed bag. On the one hand I was going to miss working with fantastic people in a great job where I’m using my degree but equally, it helped prepare me to make big decisions about what options I wanted to take in my MEng year; what Research Projects I was interested in and getting up for 9 became a doddle. I am very fortunate to be returning to Mondelez upon graduation after they offered me a job (one of the other potential benefits of a placement year!) Placement really solidified my desire and passion to take up a research engineering role as my career. If you are yet to find a placement, don’t panic! Keep applying and don’t let rejection knock you down, even if it’s your “dream job”. Quite often, companies are aware of your technical ability because you’re getting a good degree from a good University, what they want to hear about is YOU. Focus your applications on who you are as a person and how you interact with others and what you’re interested in and make sure that the real you comes out at an assessment centre or interview. That will appeal more to them than the things you think they want to hear. Also, don’t be disheartened if you don’t get the placement you want or you don’t enjoy your placement, finding out what you DON’T want to do with your career is just as important as the opposite.